This student tour is a full exploration of Suzhou and Shanghai. Suzhou, known as the "Venice of the East", is renowned for its traditional Chinese gardens and ancient canal. Shanghai is one of the largest and most dynamic cities of China. We especially recommend you a guided bicycle tour in Shanghai. Upon your arrival, meet your guide and transfer to your hotel in Shanghai. Explore Shanghai on your own. Continue to visit the Shanghai Natural History Museum, witnessing the mystery of nature. Then, take a guided bicycle tour to explore Shanghai (about 3 hours). Staring from central Shanghai, this biking route features many historical and cultural legacies of the city, including the French Concession, Xintiandi, Taikang Road, the Bund and the People's Square. In the morning, take a car ride to from Shanghai to Suzhou, which is known as the "Venice of the East" is also a fantastic choice for student! Suzhou is a 2,500-year-old city renowned the world over for its traditional gardens, ancient canals and silk production. 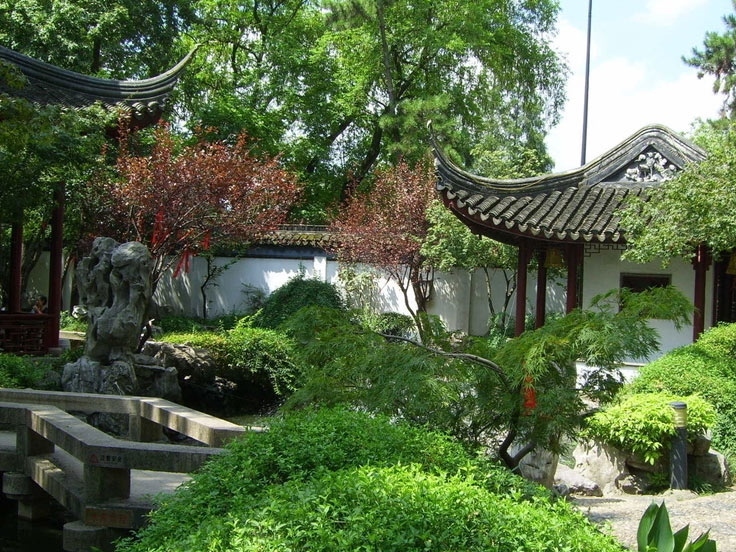 Upon arrival, you will visit the Master of Nets Garden (UNESCO), the smallest and most delicate of all the beautiful gardens in Suzhou. Then, learn Chinese calligraphy with other students in a traditional courtyard in Suzhou. Professional teacher will definitely give you an unforgettable time and unique fun in Suzhou! Later, take a short cruise along the Grand Canal. Get on board and voyage on the longest man-made waterway in the world. The network of picturesque lakes and canals both large and small alongside will remind you at times that you are in an Oriental water wonderland. Later, take a car ride back to Shanghai and transfer to the hotel. In the morning, transfer to the airport or train station for your departure. Travel route Raiders: “Shanghai & Suzhou Culture Student Tour”introduces you to Shanghai Travel guides, Shanghai holiday guide and customized personalized service for your Shanghai travel routes as well as Shanghai vacation packages. There are real Shanghai tourist route evaluation, travel Q&As. If you would like to book tickets and hotels, to find China travel agencies / China tour companies for your travel to China.